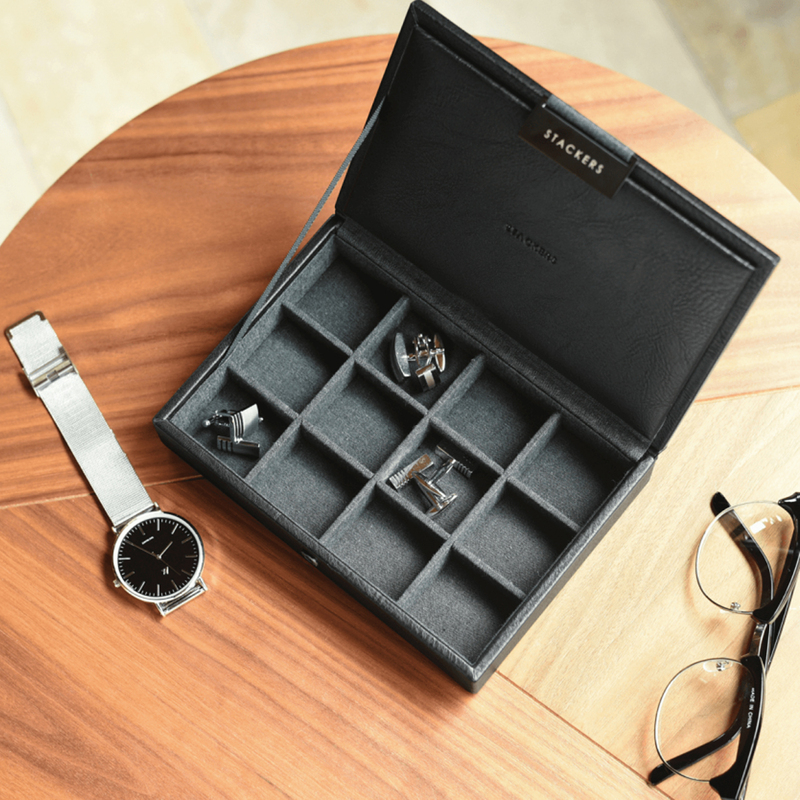 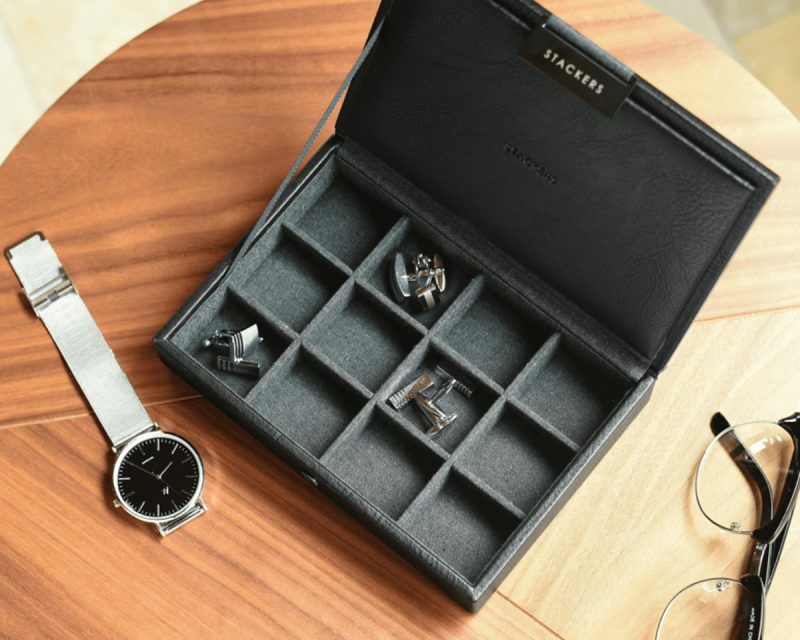 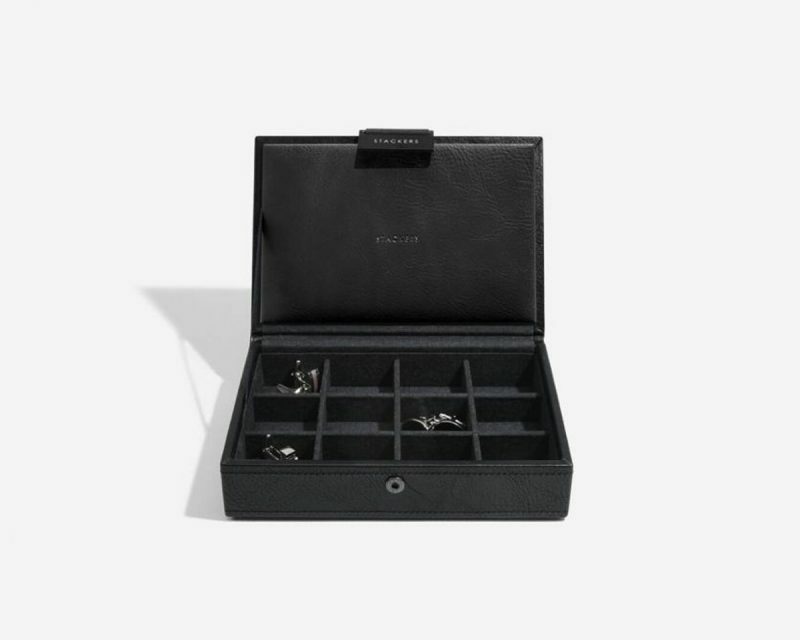 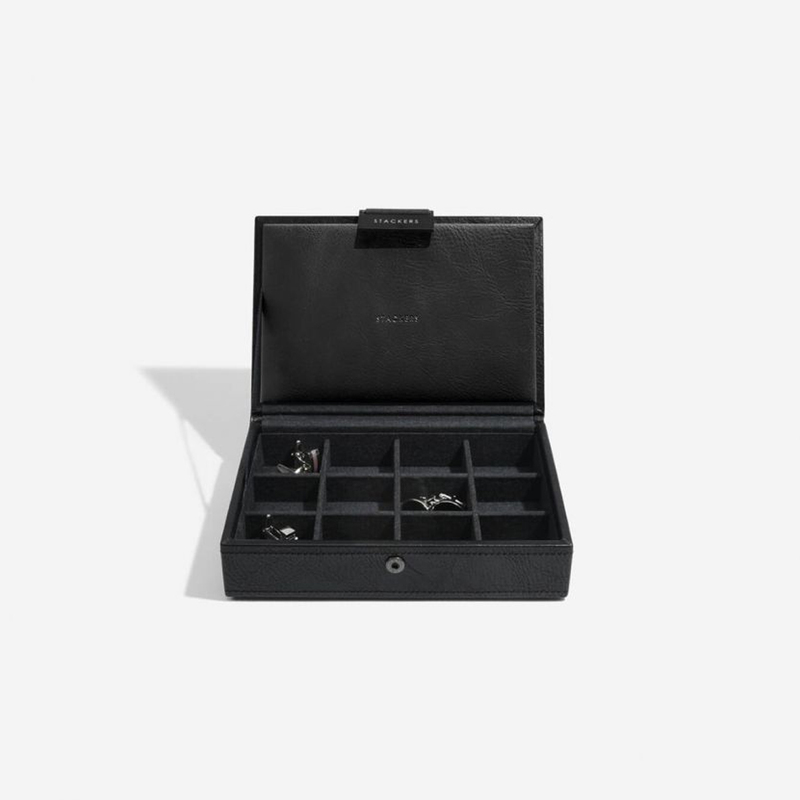 Keep your cufflinks, watches and accessories organised in style. 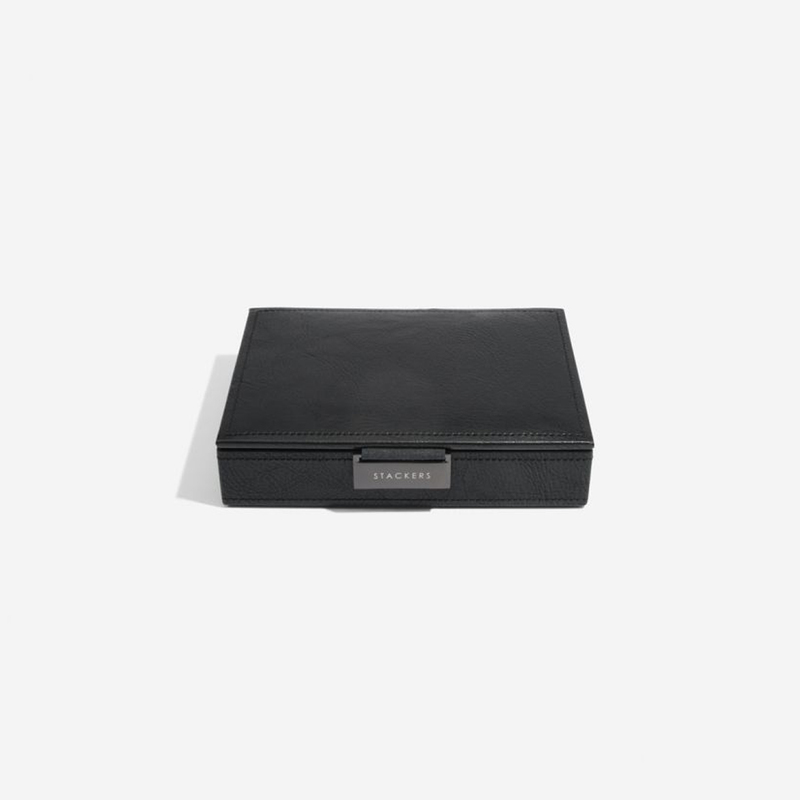 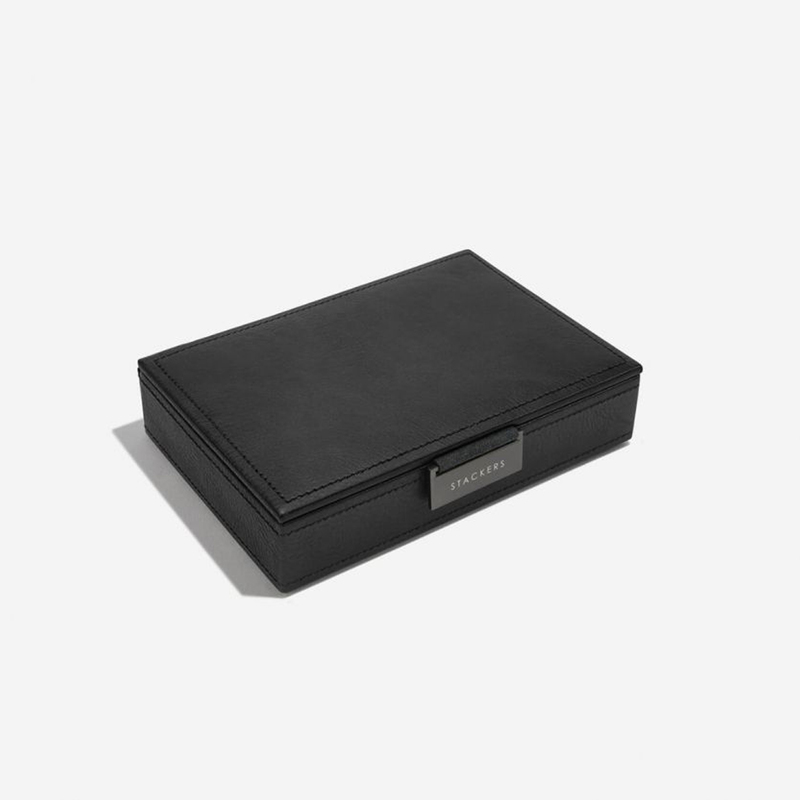 This cufflink box features a quality vegan leather and cotton lining with 12 individual sections to house you favourite cufflinks. 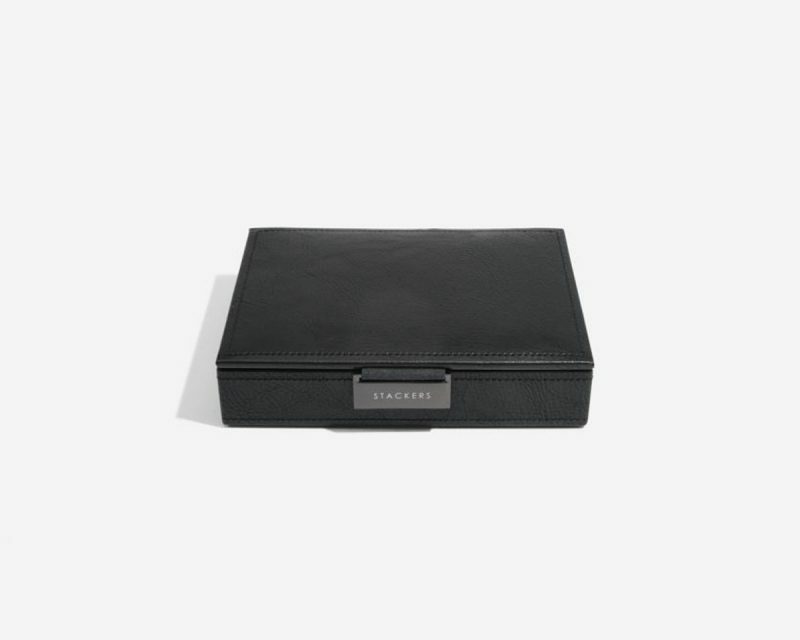 Need more space simply add another layer.